Yesterday was Huawei’s summer showcase in New York City: not only a chance for the company to bring their latest devices stateside, but also an opportunity to show off the newest that the Honor brand has to offer. We had some hands-on time with the latest Honor flagship, the Honor 9, which is a great value-for-specs proposition priced competitively at around $480. Join us as we take it for a spin. Last year's Honor 8, although not ground-breaking in its design, was a premium-looking device with a blue color option that helped it stand out a bit. This year, the Honor 9 makes some tasteful tweaks to this aesthetic. A second layer of glass has been added to the back, while the back panel itself is curved so it rests in the palm nicely, reminding us of the form of the Galaxy S7. The second glass sheet should help with durability, but is is mostly for aesthetic purposes, adding another refractive layer which creates a very nice, deep, pool-like reflection on the mirror backing, much like that of the HTC U11. The distinctive blue color also makes a return, which also looks quite stunning with the new back. The fingerprint scanner has now moved to the front in the form of a clickable home button covered in sapphire glass, and despite the bump in size from 12 MP to 20 MP for one of the two cameras, there’s still no resultant hump on the phone's backing. 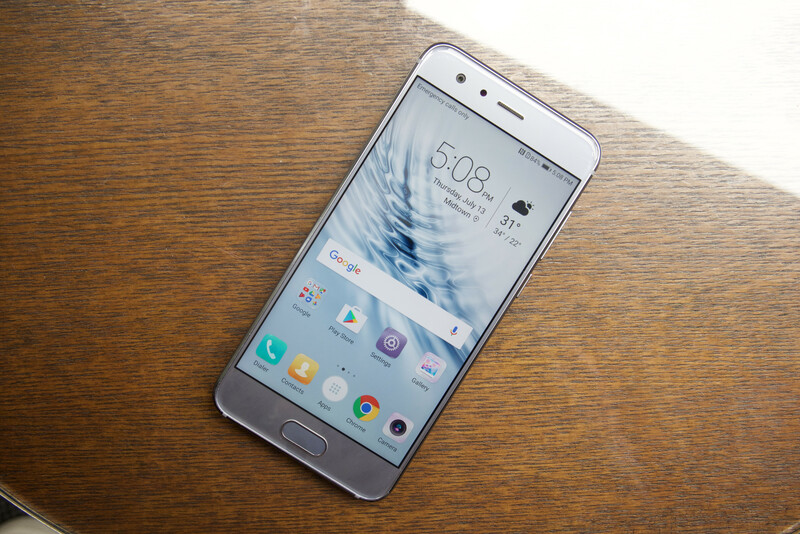 Overall, the Honor 9 encompasses a somewhat familiar but nonetheless eye-catching and beautiful design. Our first impressions of the screen were quite positive. Compared to the Honor 8, the display of the 9 has a slightly warmer tone to it, which is nice, despite having the same resolution and screen technology. 1920 x 1080 pixels still serves this 5.15-inch screen well, showing good depth and color range in our time with the device. Tools to tweak the colors are still available too, in the form of three preset modes (default, warm, and cold) as well a palette to shift the colors on. 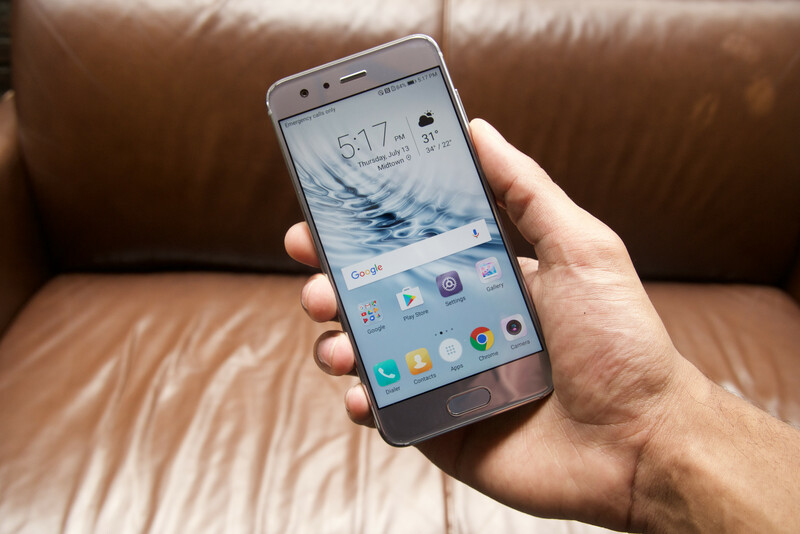 EMUI makes its return in the form of EMUI 5.1, showing a familiar and clean interface as well as snappy and prompt performance. Navigating the UI was a smooth affair, showing no signs of stutter or lag throughout our use. Of course, we’ll need to spend more time with the device in various situations, but suffice it to say, we were certainly pleased with its initial showing. Upgrading from the Kirin 950 to the newer 960 has helped an already responsive phone to remain competitive with the some of the world’s most popular flagships. How competitive remains to be seen, but it seems the Honor series is making the proper incremental improvements to raise its status as a contender to these phones. The Honor 9 comes in two configurations: 64GB storage with 4 gigs of RAM or 128GB storage paired with 6 gigs of RAM – still no word of a US launch for either. One notable drawback however is the use of eMMC storage, which we confirmed with the company. Of course, eMMC is a cheaper storage solution to implement, but the use of UFS 2.0 or UFS 2.1 could dramatically increase the speed at which data is read from the storage, thus improving performance. More on this, as well as Huawei’s configuration mishap in the P10, can be found in our article on the matter. We didn’t necessarily expect UFS in the Honor 9, nor did we feel its absence, but it would be quite a feat for Huawei to make its omission a complete non-factor. Of course, we’ll have to wait until review time to properly analyze this. The Honor 9 is a fine device – one we hope to see hit U.S. shores soon. Does it have a ground-breaking new design? No. Is it a good-looking phone with a premium look? Yes. Selling for less than $500, the Honor 9 seems to be a great option for those who want a decent flagship without paying the premium flagship price. Who said inexpensive phones had to look cheap? With regards to performance, we're quite satisfied, as we were with the Honor 8. The Kirin 960 is a capable processor, likely to age well. Of course, we'll have to see how this holds up in deeper testing. Honor has big hopes to give the top dogs a run for their money. To follow Honor's progress, make sure to check out their Honor Beta Test Facebook page for updates and information on how to become a beta tester! You are right the back does look somewhat like the Note 5 except the camera bump on the Note 5 looks ugly... 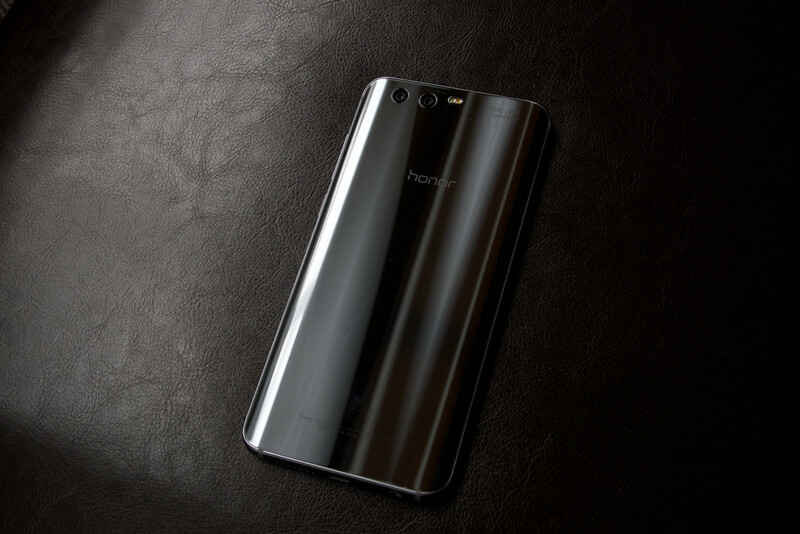 The reflections on the back of the Honor 9 looks much better than the Note 5. Note: Note 5 is a great device and it does look great plus its S-Pen has the fuctions no one else has. Ok so they went back and looked at all the old Android designs. You can only shape a rectangle so many ways. Another Samsung look alike from front. Yes, If you put a round fingerprint scanner on the back it will look like an iPhone, If you put a rounded rectangle it will look like Samsung. If you make it a small square it will look like Moto Z. Remove the fingerprint scanner from the front and it will end up like Pixel, Remove the display and you will have a pretty unique phone that nobody wants. The device looks very nice. It's too bad that as of now there are no indications that they actually plan on making a North American compatible variant. This also begs the question why they bothered to showcase it to the US press. 500? i'd rather buy other premium brands.